Product code: 813 Categories: Sold Items, Sold Rings. Antique rings from the Georgian era are so special and sought after, and this particualr one has everything going for it. Made during the Georgian era, it dates from the 1800’s and is still in fantastic condition. The wonderful blue enamel looks as good today as when it was fired 200 years ago, and it is surrounded by a total of 26 rose cut diamonds and 1 central rose cut diamond. With so much detail on the side of the ring, it is simply amazing what could be created all those years ago. 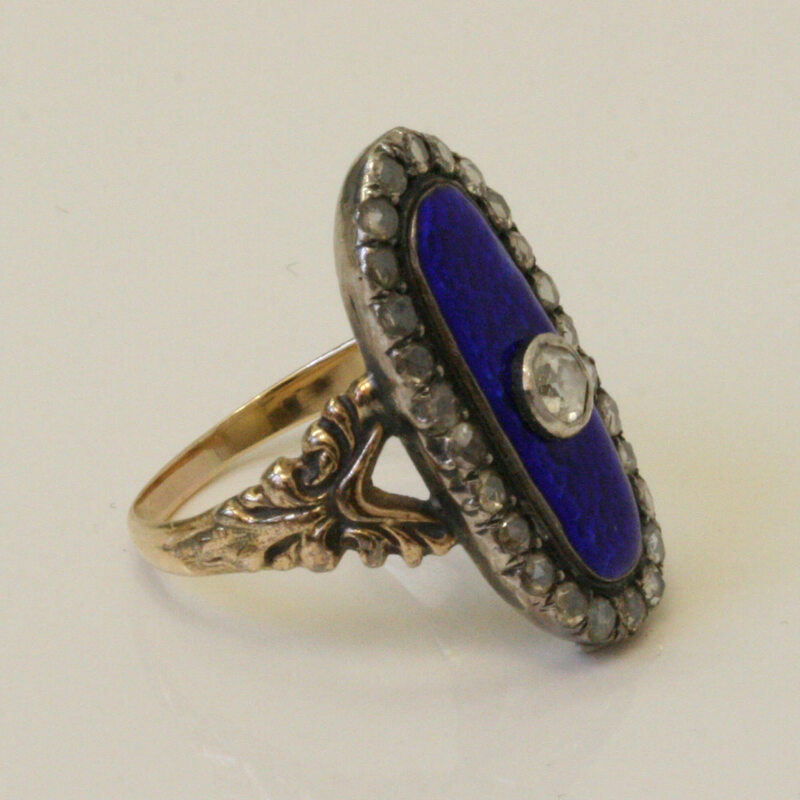 This is a realy treasure for that special person who truly appreicates antique Georgian era rings.